I am happy to introduce you to Roads. Roads is a contemporary and highly creative lifestyle brand based in Dublin, Ireland. Roads Group consists of three companies: Roads Fragrances, Roads Publishing and Roads Entertainment. Founded by businesswoman and art aficionado Danielle Ryan, the brand is built around the cornerstones of present-day-culture, freethinking, storytelling, original design and intelligence. 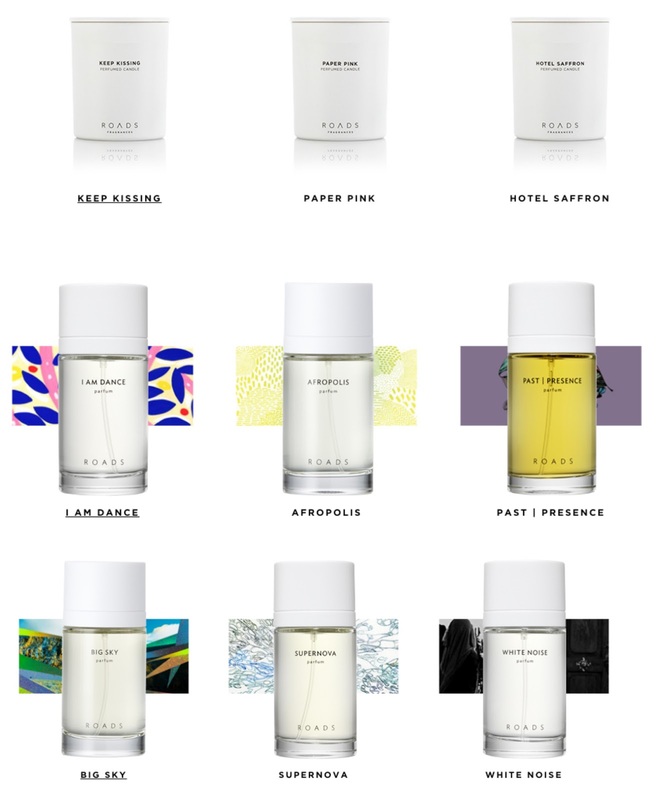 Roads fragrances are created in partnership with some of the most highly regarded perfumers in the industry. The fragrances are created using the most expensive and sough-after ingredients from all over the world. The process takes nearly a year of work to fine-tune the exact scent from each debrief. During that period every element is refined to produce the highest of standards, resulting in a complex and multi-layered scent. I love this brand, their fragrances are amazing and their provide some of the best range of scents. The smell stays all day and it is the kind of fragrances where people won't leave you without asking what is the fragrance you are wearing. If also you are a fan of candles like me, their provide irresistible range of candles. My favourites from their candles range are the Paper Pink which smells roses and the Hotel Saffron which smell really fresh and lemony. If you have not tried the brand yet, you should give it a go. such look beautiful. your dress is so pretty. This looks absolutely amazing! I never thought about wearing a dress over jeans before, but I may have to give it a go now. I really like how this turned out. I love that it is a white dress and I love it with the heels. You pull this trend off well!